My philosophy is to promote continual personal growth. I focus on empowering my clients to achieve their goals through individual or group training. I strive to provide each client with the skills, knowledge, support, and resources they need to achieve optimal result. Bodybuilding and figures contest preparation , weight loss. Every individual has their own reason or motivation for joining a gym. Some must because the doctor mandated it; some try doing something before the doctor says so. There are others that have had a fitness regimen their entire lives and cannot live a week without it. Working out becomes as much a part of their well-being, physically and mentally, as is sleeping. Then there are those of us who meander in and out of a routine. As one member put it, “It is so easy not to come in.” The latter is true, and we all know that we can come up with a hundred reasons why not to go to the gym – even though we know the benefits of exercise – in our out of the formal gym environment. Consequently, I have to share what I’ve observed first hand over my 5 1/2 years at Snap Fitness 24/7 /in Sandwich. 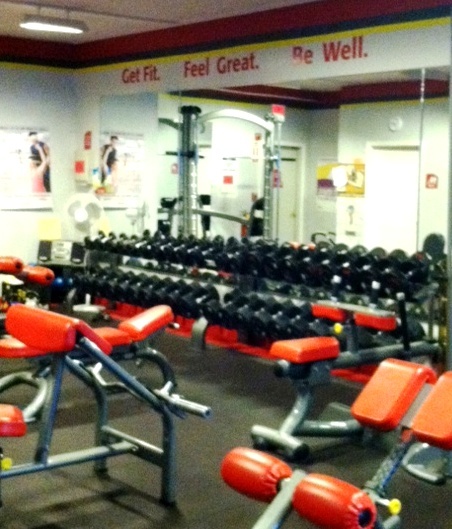 Snap Fitness is a 24 hour gym, available all of the time, so there, really, should be no excuse for not coming in. The exercisers who come 3 to 5 times a week are just as busy as those who “can’t find the time”. Many have full time jobs, plus may be going to school, plus have children at home, and have all of the other household responsibilities that go with life. Admittedly, they seem like Super People. I have learned from them what I already know, and you know it too - exercising is all about how we approach it mentally. It is a head game, a state of mind, a mind over matter issue. I asked a few of Snap Fitness’s Super People how they feel if they don’t work out: their answers had a common thread: “irribable,”“sluggish,” “my mind gets jiggy” and “out of sorts,” to quote a few. And so it is with the gym and people’s motivation – it is getting through the gym doors that is the greatest battle for most. Once people are here, they are rejuvenated, and they leave happier and more fulfilled for their accomplishment. But memories are short. Innately, that makes sense to most of us. Let me share one of our member's stories regarding motivation and how she became a Super Person. Kelly a mom of three, had never lost the baby weight. 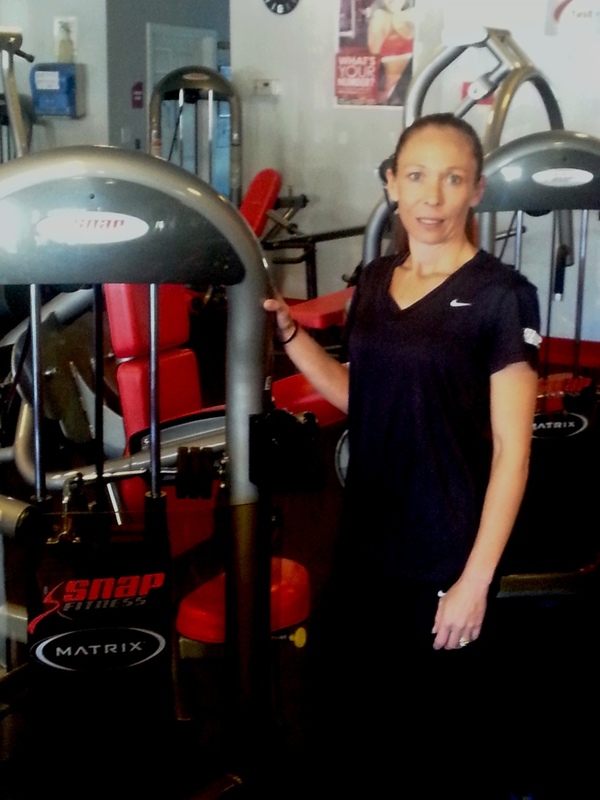 She joined Snap Fitness 24/7 in June of 2012 with good intentions of losing at least 60 pounds. She seemed to have the motivation, but at the same time, she declared: “I know myself, if I don’t see results in three weeks, I’ll quit.” Well, if that is not self-defeating attitude? Kelly’s membership was a rollercoaster ride – we could see what she did here, but we had to talk about what happened after she left Snap. We figured out that Kelly was sabotaging her good work with poor eating habits at home – naturally, she wasn’t dropping the weight. Further, her gym attendance was erratic. But we kept in touch. "Making a commitment to a healthy eating plan, being a part of the Snap family and working with Matt, a Snap Trainer, was definitely the missing key that I needed to reach my goals. Matt created a workout plan that was specifically catered to the limited amount of time I was able to put in at the gym so that I could maximize my results. Seeing results on a regular basis and working with Matt, who made periodic adjustments to my work, out kept me motivated and consistently losing weight." In time, the stronger and more competent you feel, the more you will believe you can accomplish. So, grab a workout buddy, hire a trainer or just enlist one of us at the desk to keep you accountable. The first step is to walk through the doors - and we will ask you: What is your motivation?